I’ve written four movies that have aired on television. All four are different: one is an adaptation of a novel, one is a rewrite assignment, one an original piece, and one is a real person’s story. All four have taught me a great deal about how to write. They can still be found on late night television. Different is the story of a brain damaged woman and her mentally retarded husband who have a child of normal intelligence, and how the family comes to terms with the parents being “different”. 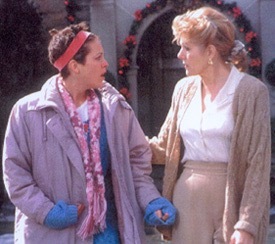 Starring Annabeth Gish and Lynn Redgrave. An original script, it was a finalist for a PEN West Award, a nominee for a Hollywood Media Access Award and chosen for the National Playwrights Conference, Eugene O’Neill Theater Center. Dying to be Perfect: The Ellen Hart Pena Story details the journey of worldclass runner Ellen Hart Pena out of the harrowing addiction of bulimia and anorexia that derailed her running career and threatened the life of her unborn child. Starring Esai Morales and Crystal Bernard. 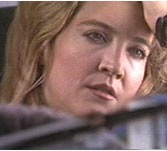 Another Woman’s Husband was adapted from the novel Swimming Lessons by Lynne Hugo and Anna T. Villegas. Starring Lisa Rinna, Gail O’Grady and Dale Midkiff. Two women discover they’re involved with the same man. Another Woman’s Husband is now available in DVD. Starring Patty Duke and Ronny Cox. 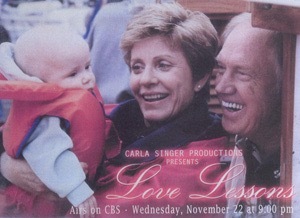 Love Lessons is about a woman turning fifty who discovers she’s pregnant, and how the baby changes her life and that of her husband, a man ready to retire and buy his dream sailboat.